This Action Plan is a framework for collaborative action by residents, community groups, landowners, the local authority, businesses and other public and third sector agencies in Johnstonebridge and the surrounding Johnstone Community Council area for the next five years. It was co-produced with extensive community engagement in late 2018. The project was led by Nick Wright Planning. Johnstonebridge is the local service centre for the Community Council area, with a primary school, Community Centre, post office, play park and a bus service to local towns. But, like many small villages, sustaining these local services is a challenge. The school roll has declined in recent years. The Community Centre is new and well-equipped but faces a significant problem in securing sufficient income to be financially sustainable. The local surgery closed in 2018 due to retirement and finding replacement GPs to reopen it is proving difficult. There are no easy or quick solutions to these challenges. 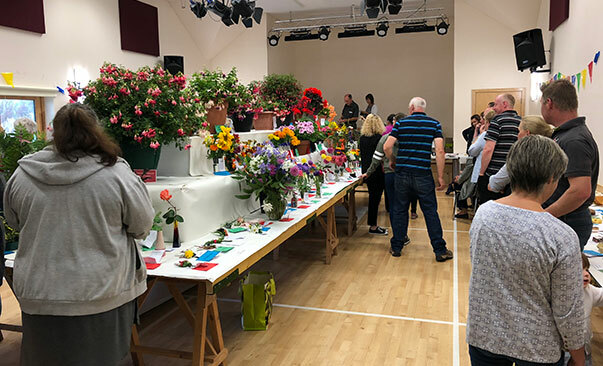 They reflect long-term economic and social changes which are having an impact on similar rural communities throughout Scotland. 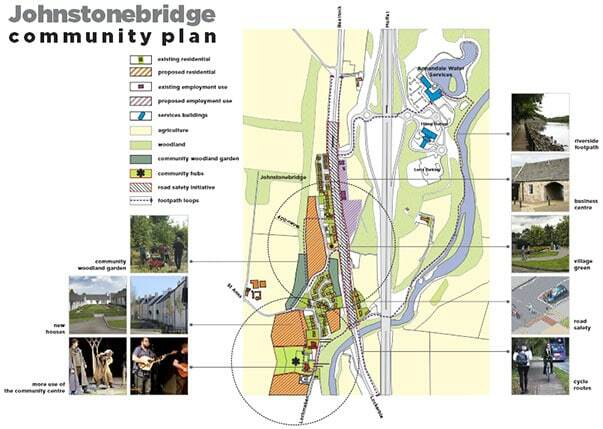 Johnstonebridge does, however, have one valuable asset: it is adjacent to a motorway junction on the M74. This offers accessibility for both residents (who can travel easily by car to employment and services in Moffat, Lockerbie and Carlisle) and business investors (on the strategic motorway corridor linking Scotland and England). It also provides residents of Johnstonebridge with dual lifestyles – a distinctly rural environment to the west of the village but with the metropolitan facilities of Costa Coffee and M&S Simply Food and more within five minutes walk to the east at Annandale motorway services. Sensitive growth of Johnstonebridge to provide more family homes and employment is a sensible response to the challenge facing the community. More families mean more children in the school, more people to use buses and health services, and more activity in the Community Centre. The village’s strategic location means that there is a realistic chance of securing housing development (as suggested by current housing proposals by Dumfries and Galloway Housing Partnership and planning policy in the Dumfries and Galloway Local Development Plan). 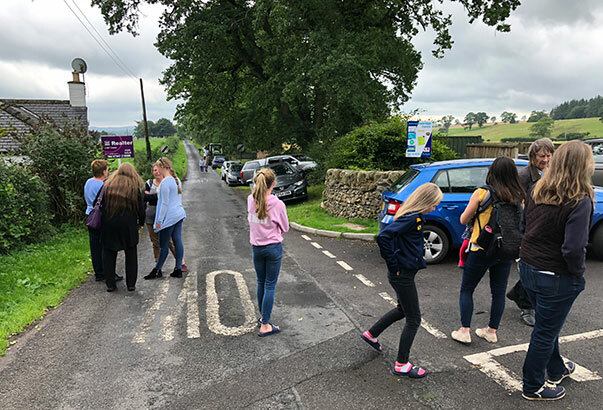 To support the community’s long term sustainability, it is vital that new housing development focuses on family housing – as current work by Dumfries and Galloway Small Communities Housing Trust for Johnstonebridge Community Trust is emphasising. Also, the community enjoys excellent public facilities – the school, Community Centre, play park and (until recently) surgery. Retention of these services is a priority for the local community. Since the facilities operate at less than full capacity, making more of their potential is vital to ensure that these valued local services are sustainable and viable in the future. We hope that windfarm funding can be channelled to supporting the Community Centre and associated activities using it including the school and other local services. 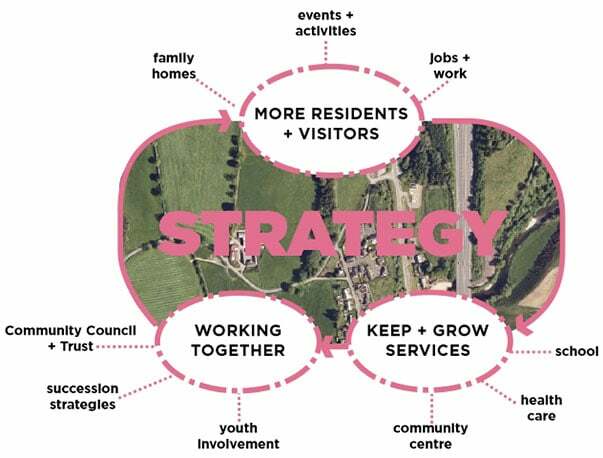 The diagram below summarises the strategy that lies at the heart of this Community Action Plan. The plan below shows where new development the village could take place with new family housing and many other proposals. These proposals are all achievable within 5 years, depending on the viability of development proposals and the willingness of landowners and developers to invest and implement the plan. The proposals are a direct response to the issues and aspirations of the local community and have been publicly reviewed and refined at the community events and online in November 2018.
assist DGHP and other developers or landowners in seeing how their development proposals can be designed to best support and integrate with the local community.